The rooms are very comfy and spacious, open on the outside that emphasis a feeling of pure delight. The food is also marvelous, thanks to the chef, subtle mix of spices, seasoning and herbs that accompany fresh quality products. The personnel is discreet but attentive. 24h of pure delight. Thanks. My wife and I needed a couple of days rest in-between hectic wedding ceremonies. 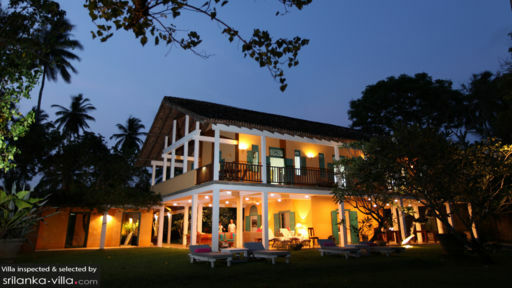 We chose The Last House for its seclusion, seaside location, architecture and travel convenience from; within 2 hours drive or 45 minutes by seaplane (landing at a nearby lake) to Colombo. The hotel certainly delivered on all our key expectations. What raised it to the next level were the staff. Polite, well-trained and respectful of their guest's privacy. Yet they were always on hand when we needed refreshments or help. We stayed at the Cinnamon Hill Suite, located on the upper storey of the main house. Whilst there was another large twin bedroom and a kids bedroom on the same floor, these were blocked off to ensure privacy. We enjoyed the wraparound balcony with views of the garden and sea and the master bedroom-sized bathroom. The other rooms are all offshoots of the main house and each comes with unique features. An alternative for us would have been the 'Na' room which too is elevated and located away from the common areas. There's no A/C as I recall but with fans and the sea-breeze it didn't bother us. 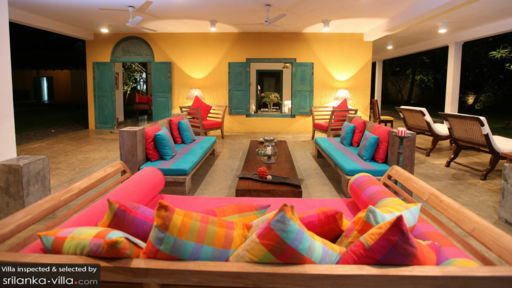 Common areas comprised of the pool, lawn and several lounges inside and on the verandahs. The staff were also happy to set up badminton nets and loan boogie boards, though we didn't get round to it. Several options were presented ahead of each meal. The ingredients were locally sourced and fresh. The cuisine itself was an interesting fusion of Sri Lankan and foreign styles and flavours. The sandwiches and drinks prepared to order were to the same high standard. The expansive lawn has a gate that leads to a long stretch of pristine beach. Its frequented only by the local village folk and guests at the two or three properties located along it. 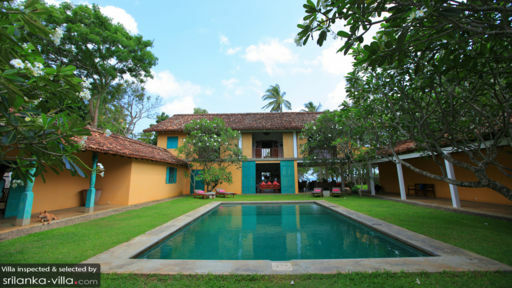 There is a large refreshing pool within a courtyard at the property as well. Well done to the Manager, Mr. Ananda Ranasinghe, and his staff. We will be back with family and friends again soon. This was our second time at The Last House. This time we brought family with us and were delighted that their reaction was the same as ours -- how perfect can a hotel be? Comfortable, aesthetically pleasing at every turn, delicious food, and unobtrusive, kind staff led by Ananda and Amit. We had the two rooms in the front -- the Moonamal, with Dutch doors and an outdoor shower/ bath, and the adjacent room with a front courtyard. Each room is beautifully appointed; you feel like you are outdoors indoors, protected from the elements but with the roar of the sea nearby. The lawn space is ideal for lounging and reading; the covered area ditto. One doesn't have to do much here to appreciate how relaxing it truly is. Just like last time, we wish we'd stayed longer. The Last House is amazing, beautiful grounds and private beach. Food and service was excellent. If you really want to get away and chill out this is the place to go.One tip I would have would be to organise your own transport to and from the hotel. We organised a taxi through the hotel on departure and found it expensive.The last house was a very unique experience. My boyfriend and I stayed here recently for 4 nights, in the Atteriya room. As with nearly all reviews on here, I can't fault it. The architecture, the immaculately kept gardens, the ever so polite, friendly and discreet staff, the stunning all but deserted beach (bar a few fishermen) - all make The Last House an unbelievably relaxing place to stay. It feels like you're in your own private villa even with other people staying there. I highly recommend Atteriya, with its own private flower-walled garden and outdoor shower. Sleeping with all the doors open at night with the sea breeze flowing in was wonderful. The Sri Lankan dinner night was one of our best meals during our trip - however not wanting Western/ Asian fusion style food we ate out most other nights (see my reviews for Isana nearby along the beach and the fabulous Moon River a short trip by tuk tuk). We had a very safe driver (bit of a rare thing) pick us up from Udawalawe, as were other drivers arranged through the hotel. We will be back to stay again one day, no doubt about it!